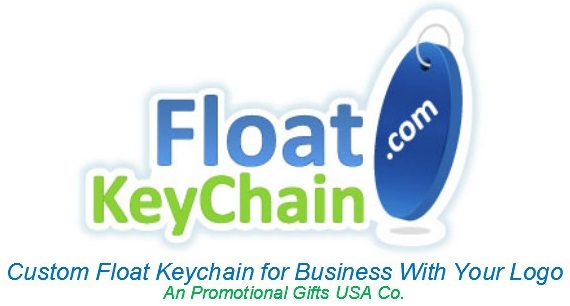 Welcome to floatkeychain.com, the website where you can count on finding the lowest priced custom printed floating key chain in the United States! We can imprint your company message or logo on floating foam and floating container (also fondly referred to as “keytainer”). You can create unique floating key chains in order to market your company at conventions and trade shows. These items make the perfect giveaways or can also be used as employee incentives at meetings. Because these key chains float, they will make wonderful giveaway items for watercraft dealers, boat detailers, realtors, boat owners, lake side hotel owners/guests and other water related businesses. Conventional key chains are great, but floating key chains offer a convenient way to have your company’s image spread across with consistency and draw the attention of different prospective clients/customers. The great thing about using float key chains as a marketing tool is that people will always search for their keys when they need to unlock their home, vehicle, storage units and any place where their property will need to be kept under lock and key. Custom float key chains add substance, design and color to any key ring – this way, your business can take advantage of customizing these awesome promotional products in such a way that is sure to make your target market remember you…all the time.